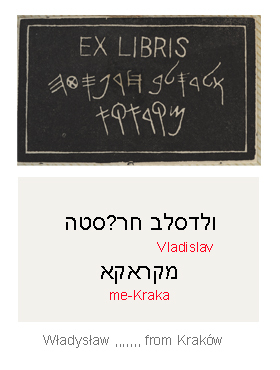 We have recently been working on our digital Jewish ex libris exhibition, based on a collection of over 1,000 items, and came across an ex libris in Paleo-Hebrew that we can only partially transliterate. In the picture below you can see what we have so far (in Hebrew characters as I do not have Paleo-Hebrew font on this PC). We are not sure about the surname. If you know how to transliterate the surname properly, or know who this ex libris might have belonged to, let us know! 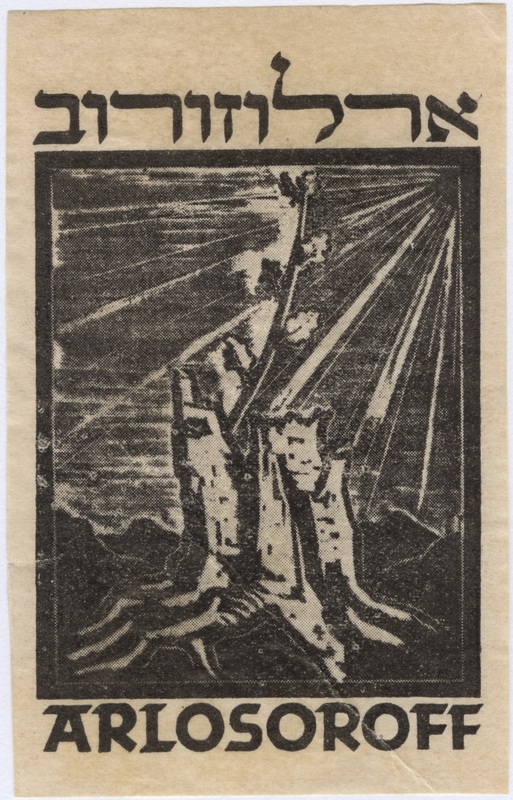 Thanks to the help of our readers, we now know that this ex libris belonged to Wladyslaw Harposta / Chrapusta (born 1890 or 1896, died 1982), a Polish literary translator of Haim Nahman Bialik and Uri Zvi Greenberg, self-taught Hebraist and scholar of stenography. He was a collector of Hebrew books (5000), and of ex libris. His collection of over 600 ex libris is at the National Library in Warsaw. 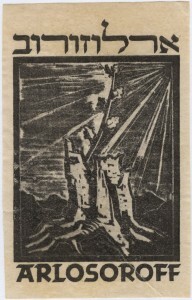 Similar ex libris features in the Bezalel Narkiss Index of Jewish Art. A brief biographical entry on Harposta / Chrapusta can be found here, although there are some discrepancies regarding the date and place of birth. This entry was posted in Copenhagen Collection, Crowdsourcing, Ex Libris, Exhibitions, Paleo-Hebrew and tagged Crowdsourcing, ex libris, Paleo-Hebrew on 19 August 2015 by zeidlerm.